Ah, Mother’s Day. The cards, the flowers, the smiles, the gratitude. The leisurely brunches and outdoor strolls in the sunshine – spring is blossoming just like you did before your mother’s eyes, all those years she raised you. Yes, motherhood is the hardest job due to its never-endingness and emotional weight, and Mother’s Day is meant as a day of pause to truly appreciate mom. A common myth abounds which says that Mother’s Day was started by Hallmark, the greeting card company, as a brilliant sales move. While Hallmark did capitalize on the holiday, the company didn’t begin its celebration. Rather, the associations of love and gifts on Mother’s Day evolved from one woman’s initiative. Her name was Anna Jarvis, and she hailed from Webster, West Virginia. 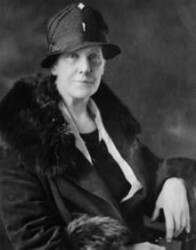 Anna Jarvis campaigned for a national mother’s day after her own mother, Ann (yes it’s almost the same name) Reeves Jarvis, passed away. A special memorial service in her honor was held three years after her death, on May 10, 1908, after which Anna Jarvis launched her efforts for Mother’s Day. The initial request for such a day actually stemmed from Anna’s mother, and Anna felt she was serving her mother’s memory right by creating a beloved day dedicated to mothers. Legend states that Anna promised her mother, on her deathbed, that she would “get her mother’s day”. And get it she did. Campaigning was nothing new to Anna Jarvis, so she went full speed ahead in pursuit of a national Mother’s Day. Inspired by her mother’s nursing work during the Civil War, amongst other social action activities throughout her life, Anna continued the tradition of striving for justice at any turn. She started with ordering hundreds of white carnations for the mothers at the 1908 memorial service for her mother. From there, the practice spread, state by state from West Virginia, up and down the gulfstream waters and across to the redwood forests, and within just a few years, every state commemorated Mother’s Day. Anna Jarvis was so dedicated to the cause that, in 1912, she reportedly resigned from her lauded position at Fidelity Mutual in order to fully pursue Mother’s Day International Association (MDIA), speerheading national and international recognition of Mother’s Day. Her efforts paid off: In 1914, Woodrow Wilson gave the US stamp of approval, proclaiming it a national holiday. In the end, Mother’s Day became so commercialized that the day proved disappointing for Anna Jarvis – so much so that she tried even lobbied to get the national holiday canceled. But it was too late – tradition had taken hold, and Americans loved Mother’s Day. 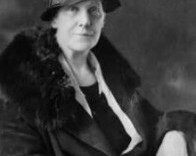 Even though Mother’s Day, like all holidays in modern day, was highly commercialized,Anna Jarvis’s efforts to create a national Mother’s Day were extremely successful. Mother’s Day is observed across the board – a holiday which applies to all, no matter social status, race, or belief. Everyone has or has lost a mother; everyone can celebrate or commemorate this day, and all told, Mother’s Day is simply one of the brightest days on the American calendar. At Rockaway Care Center we celebrate Mother’s Day with various activities. Join in the commemorations, thanking your mother for all the positivity she gave – and continues to give – you.